I am so excited to announce this event! 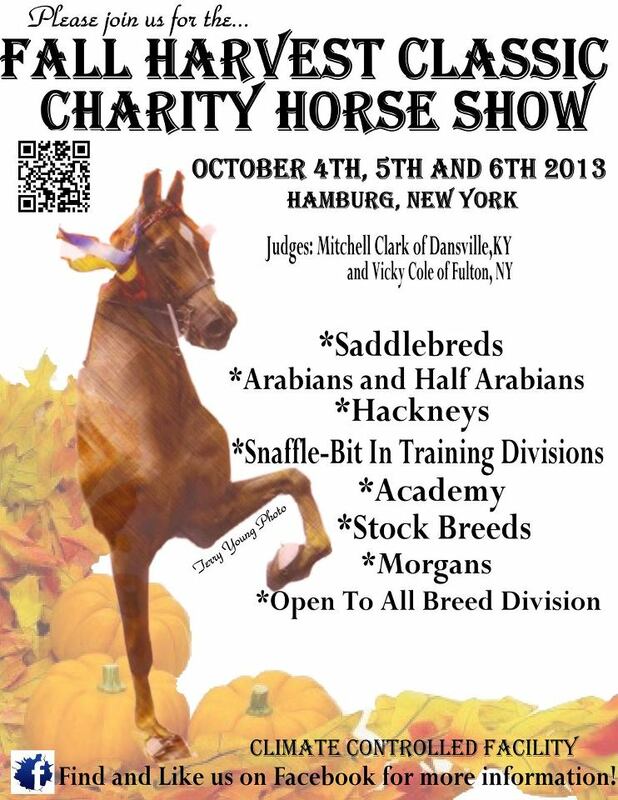 I will be in attendance at the Fall Harvest Classic Charity Horse Show and am accepting appointments to meet with you and your animal(s) be they horses, dogs, or both, on Saturday, October 4th, 2013. This event is being organized by Denise Vespa Stables and Denise and friends have chosen Guiding Eyes for the Blind as their beneficiary of choice for this outstanding event. I am pleased to be participating and I am dedicating a portion of my proceeds to this very worthy cause. Do you ever wonder what your animals are thinking? Would you like to better understand some of their behaviors? Give me one half hour with your horse or dog and I will convey to you the benefits and blessings of animal communication. Appointments are now being scheduled on a first come, first serve basis. Contact me for details and together we can explore how I can best meet your needs. I look forward to meeting you and your “soul mate”. In fact her explains almost literally how to read a girl’s head. where you can obtain personal instruction for around $1000. THE MANY ASPECTS OF ANIMAL COMMUNICATION AND HOSTING A VISIT TO YOUR AREA! AMAZING GRACE! THE STORY OF BEAU THE PUPPY MILL DOG TOLD IN HIS OWN WORDS! WHAT THE ANIMALS WANT US TO KNOW IN 2019! THE STORY OF WARM BLOOD HORSES IN THEIR OWN WORDS! HEY GUYS DON’T FORGET I AM HERE TOO!